Lady Cynthia Asquith (1881-1960) was the daughter of the 11th Earl of Wemyss and the daughter-in-law of Prime Minister H. H. Asquith. 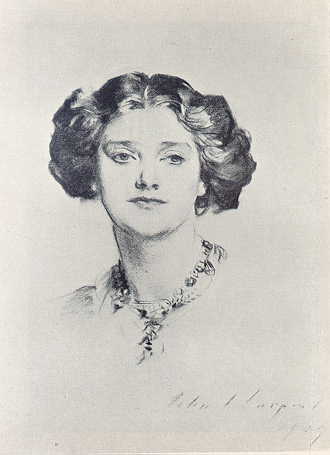 In her memoirs, Remember and Be Glad (1952), she reflects upon her life as an aristocratic girl in Edwardian society. “Who’s that speaking?” he barked, fuming with impatience. You can imagine how much Papa’s monopolising of the telephone complicated my life. Suppose he happened not to feel in the mood to give me some message, he was liable, no matter how wildly unsuitable the hour, just to bark down the mouthpiece “Cynthia’s asleep.” Sometimes he would even declare the wish no doubt being father to the thought that I had left London for good, thereby greatly upsetting some hostess who had just succeeded in balancing the number of girls and young men at her dinner-table.